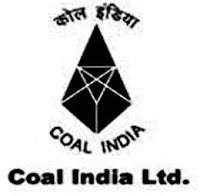 Coal India (CIL), mining major has chosen the Power Finance Corporation (PFC) to decide on a suitable partner and operator for its proposed 1,600-MW power project in Orissa. The company is looking for a 50:50 JV. CIL is going to utilize the coal from Vasundhara coalfields in Orissa for the 1,600-MW coal-based power plant. The company is planning to come up with power projects one in Bandraigarh in Chatttisgarh and the other in North Karanpura in Jharkhand.